As part of a North Iowa Bloggers Tour through Clear Lake Chamber of Commerce I was provided with round trip airfare from Air Choice One to facilitate my review. All thoughts are 100% honest and my own. It should be no surprise to my readers to read the following statement. I love to fly. I love to travel and many times flying is the best way to get from point A to point B for me. 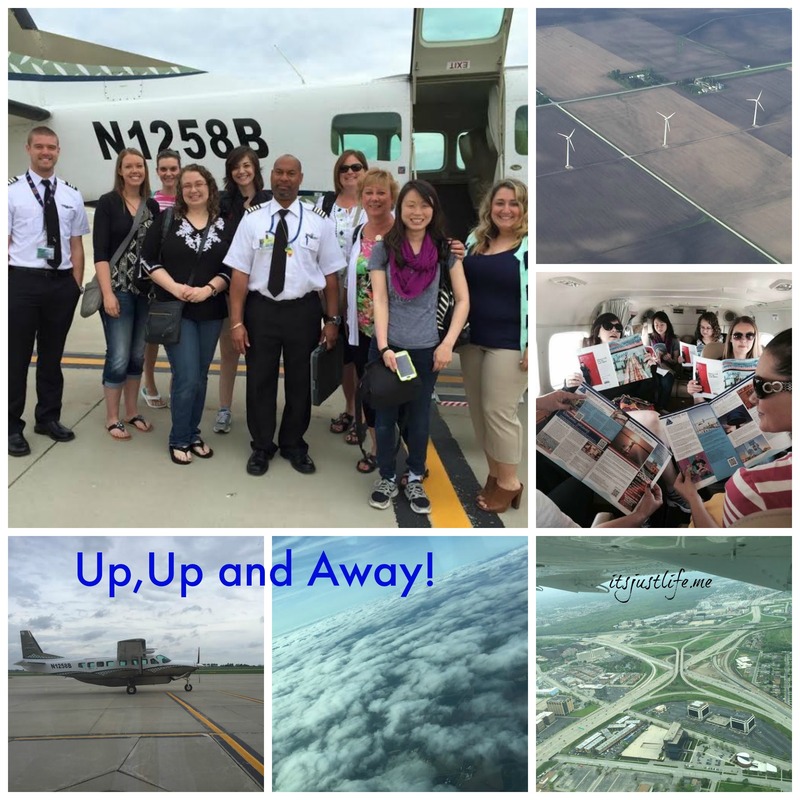 I was thrilled when I found out I was going to be part of the North Iowa Bloggers trip to Chicago because it meant I got to fly on <Air Choice One again. If you remember I already have flown with them a couple of times when I needed a one way to or from Chicago. You can read that post here. I had a great experience the other two times I flew with them and this time, although there were challenges, turned out very well in the end. We all got to the Mason City Airport on Thursday morning and found our FREE parking spaces which is a huge perk for me. I hate shelling out hundreds of dollars on airport parking. Check in was easy but one thing that is a bit different from flying on larger airlines was that they need to know your weight to make sure the smaller planes are weight balanced. This is the time to be honest about your weight. No one wants to have an unbalanced plane because someone didn’t want to tell the truth. 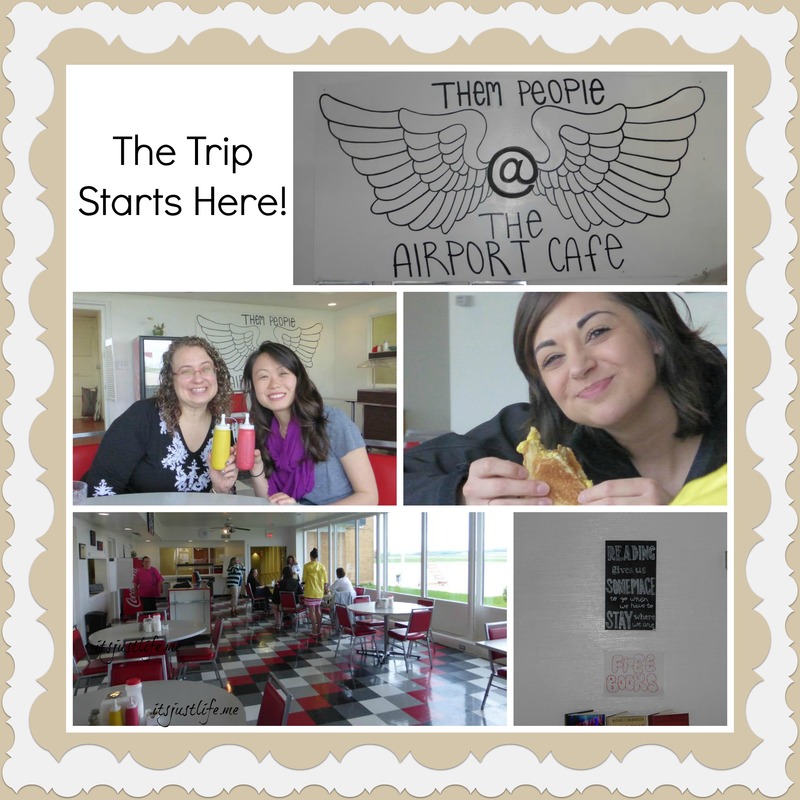 Once we all got checked in with the Air Choice One folks we decided to go check out the airport restaurant Them People at The Airport Cafe. Yes—that is their name. I had already had my breakfast so I did not eat but the prices were very reasonable with a breakfast costing around $4. The decor is fabulous and they even have a lending library for travelers. You know that earned high marks from me. I plan to come back sometime for a meal just to try it out because they were so nice. The planes are small. Just saying. I don’t have a problem with that but some of the group got a little queasy on the flight there that was a bit bumpy due to the weather. The thing about flying in smaller Cessna planes is that because of their size they can not fly safely in the higher air space that bigger airplanes can maneuver to to avoid bad weather. Our pilots did a great job of getting us there . Another thing is that is important to know is that because of their small status you don’t get the same jet bridge that larger planes have to board and deplane. Passengers actually walk down the 3 steps of the plane to the tarmac and then follow an Air Choice One employee to the terminal. For inquiring minds Air Choice One service flies in and out of gate L10B in Terminal 3 in O’Hare. This is important to know because they do not show up on most of the flight boards around the airport. On one of my flights I could not find anyone who knew where they flew out of so it was a little nerve wracking. Know before you go has become my motto. When we landed it was a quick and easy path to catch the train into the city that took us to our hotel. Because of the shortness of our stay we did not have to check bags but it is important to note that if you do have to check bags with Air Choice One you will have to take them to your next airline’s ticketing desk and get them checked from there. They do not have reciprocity with any other airline so it falls on the customer to take care of that. That means another fun trip through security and if you have limited time that could become an issue. The trip back to Mason City was a little different story than the trip there. We arrived at the airport on Friday early enough to get all checked in and ready to go. Armed with Garrett Popcorn and a lot of stories we took up residence in the waiting area close to our departure gate L10B. Being bloggers we had to be connected and charged at all times so finding working outlets was interesting. One of our crew had to find a way to get plugged in. We knew that weather may play a role in our departure as we had witnessed crazy rain pounding down as we entered the airport from our train ride but we were all optimistic. But all the optimism in the world does not allow small planes to fly when it is storming so we finally found out 35 minutes after our projected board time that our flight was cancelled. Communication with Air Choice One was a little difficult as the same people that check you in in the ticketing area are the ones who direct you as you board the plane. The result is there is no one at the desk in the gate area to talk to and we received no alerts or texts or emails or anything apprising us of the situation but quite honestly I do not know when the decision was made to ground our flight. It was just a bit frustrating at that point but I was happy that safety first was the tone of the day. Fortunately we were able to find accomodations for the night and after getting kicked off one shuttle bus to the hotel because others refused to leave the overcrowded bus we made our way to our digs for the night. We were all pretty tired but Air Choice One had gotten us all on flights back to Mason City the next day. The moms of the group were automatically on the first flight out in the morning and one more was added by drawing names. The remaining 3 would be returning on the 5 pm flight and we started referring to ourselves as the Left Behind group. There were a lot of rapture jokes going on here and there. We all ended up at the airport for the earlier flight on the off chance that someone would not show up for earlier flight but it was not to be. The Left Behind group waved goodbye to the early flyers and we hung out at the airport enjoying some good food at Wolfgang Puck’s and people watching. Hey–we even met Eduardo and Jesus who we may have convinced to move to Iowa and become bloggers. They were really nice guys headed to Oakland to celebrate Mother’s Day with their mom and other relatives. The flight home was very smooth and we were happy when we spied the Mason City Airport. The bonus was that there was a row of WWll planes that were stopped there to refuel and we had the chance to watch them take off. That was a sweet welcome home. So would I fly Air Choice One again? Definitely. It is the perfect way to take a quick trip to Chicago with very little fuss. It is very easy to get anywhere you need to go once you land in Chicago and the beauty of not having to hassle with parking and driving is a winning combination. 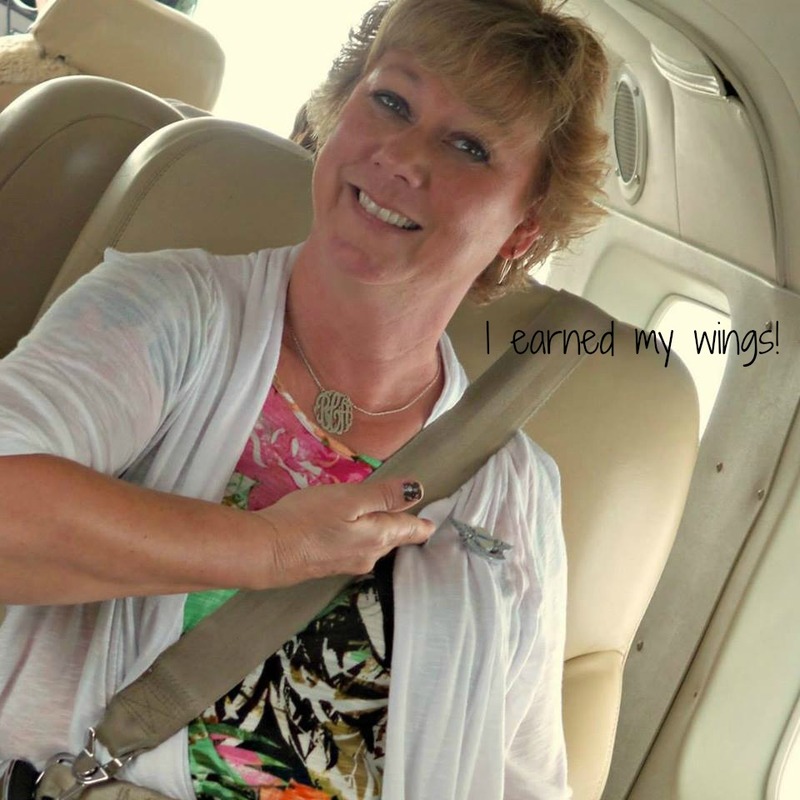 The pilots were all fun and personable, the planes comfy and I felt totally safe even if the flight was a bit bumpy. As with any trip the traveler just needs to make sure they educate themselves before they go. Ask questions and make sure you understand the rules and regulations. 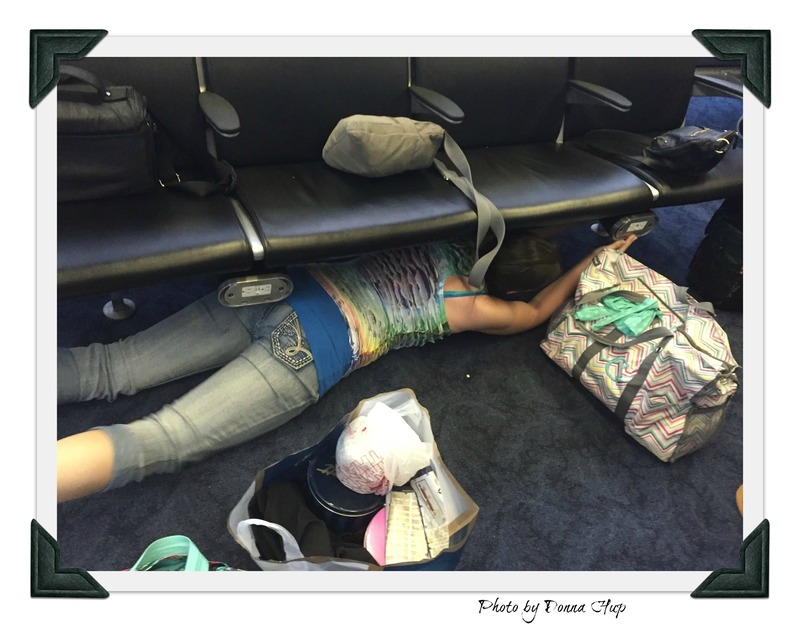 Hey—I even wrote a post on Things to Know Before You Fly that might be helpful. The other thing to consider is that it is a super easy way for Chicago folks to come visit Clear Lake and Mason City. TheClear Lake Chamber who generously provided this trip is more than willing to work with tourists to plan the perfect visit. 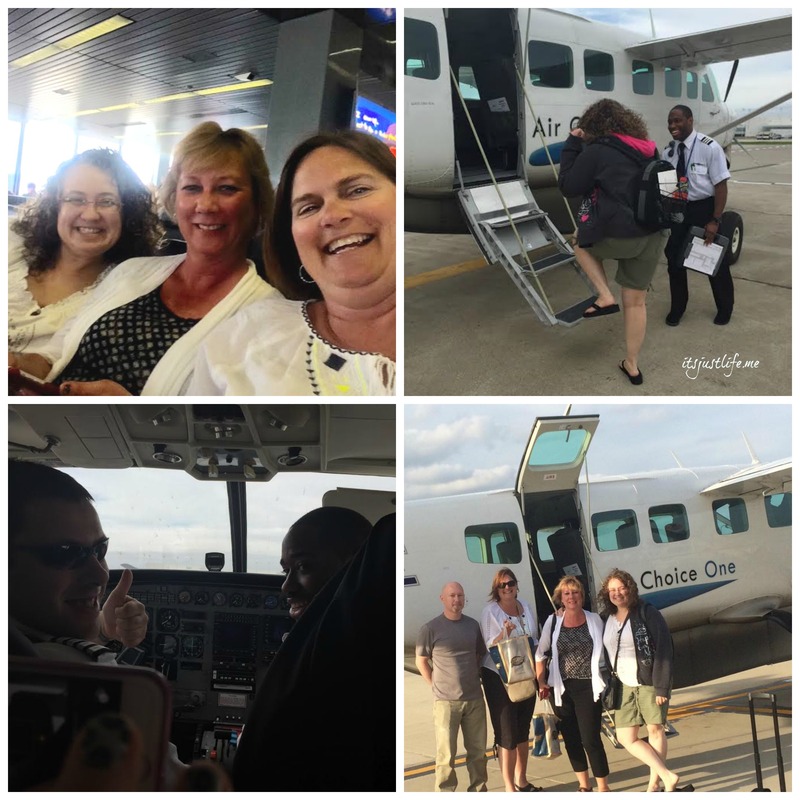 We have so much to do in our area and with July 4th being a huge draw for Clear Lake I think that Air Choice One is the perfect way to bring some of those tourists to Iowa to share what we have here. So do me a favor, will you? If you know anyone in the Chicago area please invite them to use Air Choice One to come see us. It is an inexpensive way to get from Chicago to Clear Lake. I can guarantee that they won’t be sorry. It’s Just Life—Finding the Extraordinary in the Ordinary receives free products for review purposes. All opinions expressed are my own and were not influenced by any form of compensation. This disclosure is done in accordance with the Federal Trade Commission 10 CFR, Part 255 Guides Concerning the Use of Endorsements and Testimonials in Advertising. Helpful tips! Glad you made it home safely. Me, too! It was such s fun trip. Thanks, Jeni! It was great traveling with you. Sounds like you had a great trip. 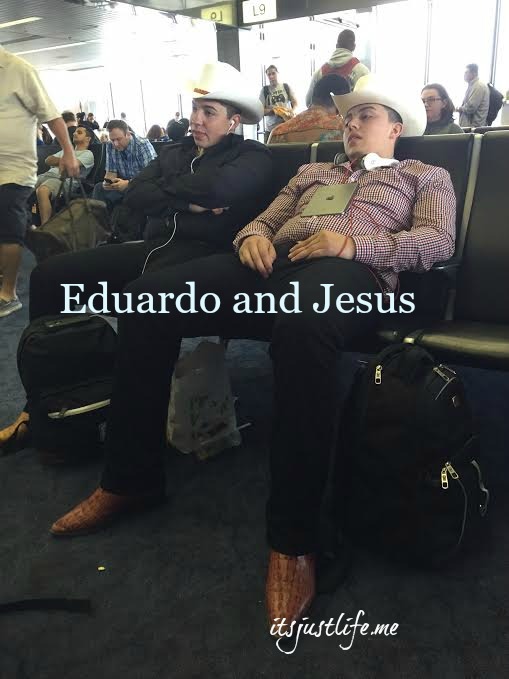 My favorite image: Eduardo and Jesus. Definitely a high point of the trip was talking to them. They were polite young men and great conversationalists. How long is the flight from Mason City to Chicago? I once flew in a plane this size from the bush of NW Ont, around a few reserves even further north, to Sioux Lookout for a short rest & then off again to Winnipeg, MB. I was in the air for a total of about 8 hours. I kissed the ground at the Wpg. airport when I got off the plane! But being able to see my hubby & my daughter was well worth it! BTW – I don’t like flying – even in big jetliners. The flight is just around 2 hours depending on tail winds, etc. 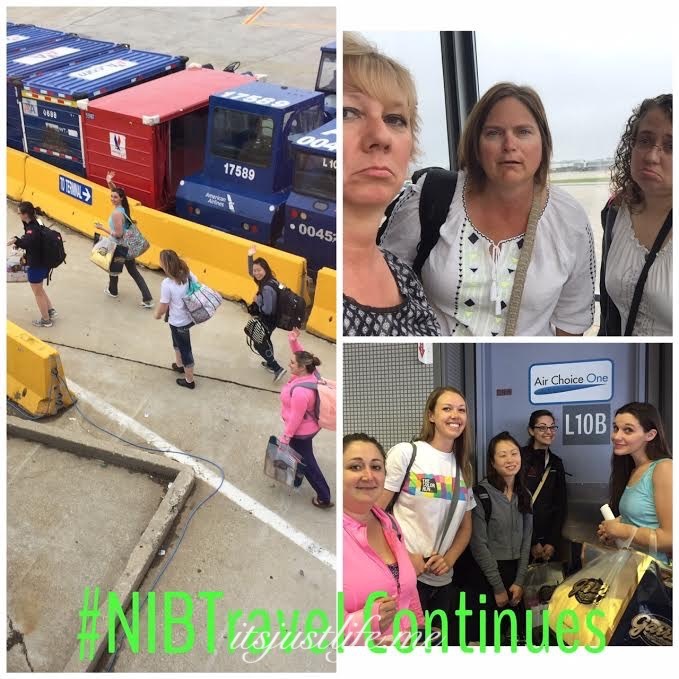 I love flying but this one was a bit bumpy for a couple of the gals—no one got sick but it was close. I am so glad you and your friends were able to go on your trip. Thank you! We really have a lot of fun together and I loved being a part of this group. It is going to be difficult to say good bye to them. A great read! I had no idea about Air Choice One! It sounds like a great option to visit Chicago and St. Louis from Mason City. 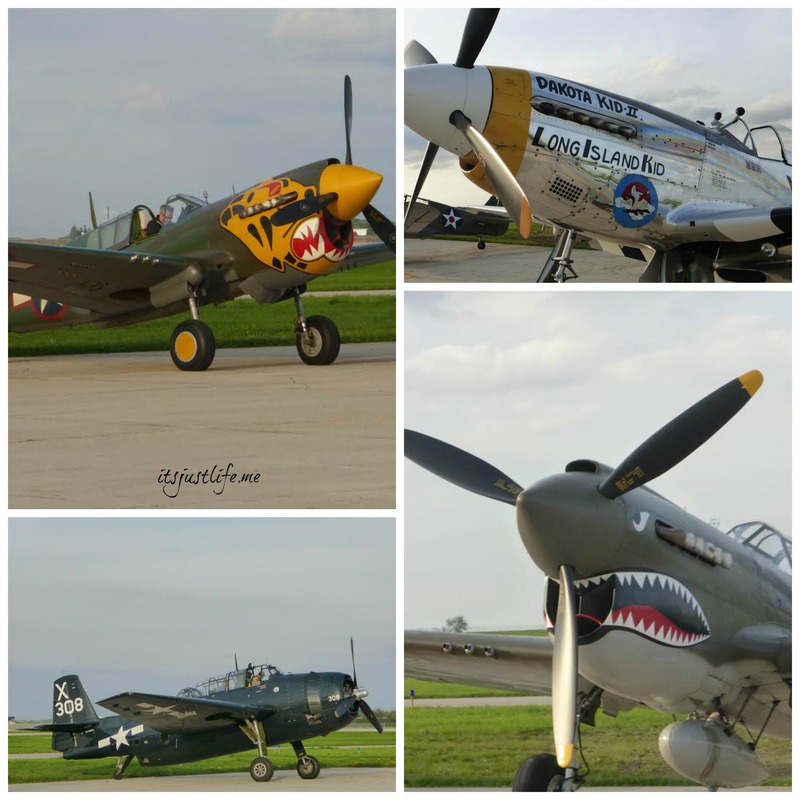 I like the WW II fighters. I build models of WW I fighters. We were so excited to be able to see them, Carl. They were amazing and we timed it perfectly to see them take off as well. Yes—it was and we really had so much fun! I love it that you made friends at the airport! So did you guys go anywhere fun on your “rain day” or did you just take it easy at the new hotel? And I had fun with you! Thanks for all the hard work you put into planning this trip.